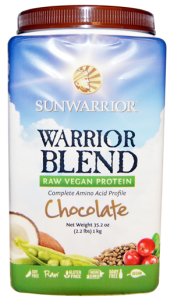 Looking for a plant-based vegan protein powder? Here is where you can not only find out which vegan protein powders are the best quality and value, but which one is the best for you. Let’s start off with What is a protein? A protein is simply an arrangement of amino acids. There are 20 amino acids that our bodies need. 9 of these are considered “essential” because our bodies can’t make them. The rest of the amino acids are considered “non essential.” This doesn’t mean our bodies don’t need them. It means that our bodies can make them out of the essential amino acids we get through food. If you aren’t getting enough essential amino acids, your body won’t be able to make enough non essential aminos. I’m not saying that you should go eat organ meat. Heck no! I mention it because it is one of the most-studied examples of amino acid balance. How does this apply to which vegan protein powder you choose? 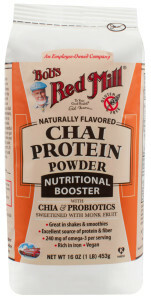 Well, if you are eating lots of soy foods all day, you probably don’t want to add a soy protein powder to your diet. If you already eat hemp butter every day, then don’t choose a hemp protein powder. The best vegan protein powders are usually the ones which combine several plant sources of protein to give you a good balance of amino acids. They will usually list how much of each amino acid they contain instead of just the total amount of protein. 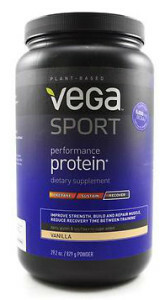 Protein Concentrates: These are the most common types of protein powders you will find for sale. They made with a process that involves dry heat and acid extraction. 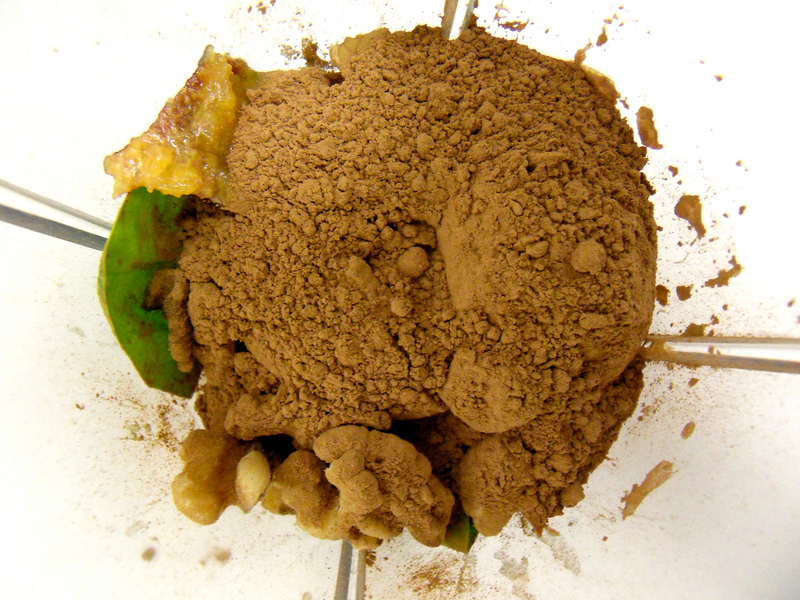 The result is a concentrate of protein. Protein concentrates are usually about 60% to 80% protein by weight. They are cheap to make and thus cheaper to buy. Protein Isolates: Isolates are more processed than concentrates. They have had more of the non-protein parts removed so they contain around 90% to 98% protein by weight. Isolates take longer to enter into the digestive system, so they are good for reducing hunger. Protein Hydrolysates: These protein powders are made by soaking the proteins in water so the individual amino acids get broken down into groups called peptides. Basically, hydrolysis is pre-digestion. Since protein hydrolysates are pre-digested, they are the easiest and fastest for the body to absorb so are often chosen by bodybuilders to help repair muscles after a workout. 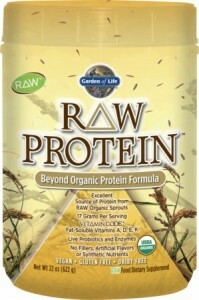 Raw Vegan Protein Powders: These protein powders are usually made up of dried, ground-up sprouts (such as flax sprouts, bean sprouts, etc.). The idea behind raw protein powders is that heat destroys nutrients in the protein source, and also denatures the protein (changes its form) so it is harder to digest by the body. 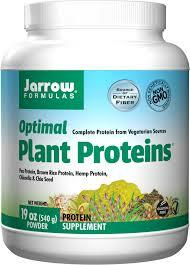 There are all sorts of plants which contain protein, and vegan protein powders can be made out of any number of them. However, these below are the most common that you will find, as well as the pros/cons of each protein type. Hemp is also a complete protein and is highly digestible. It has a higher fat content, so it isn’t the best choice if your goal is to bulk up after a workout. Note that the fats are healthy Omega 3s, so it is a good choice of protein powder for supplementing between meals. 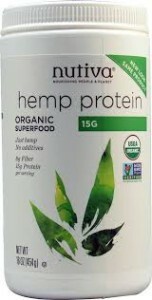 Hemp protein powder tends to be a pricier option. Pea protein powders are surprisingly one of the best options for vegans. Pea protein is highly digestible, low fat, rich in key amino acids for muscle growth, and is a fairly cheap option. Pea protein is not a complete protein though, so it should be formulated with another protein. Protein Rice also isn’t a complete protein so it needs to be formulated with another protein. However, it is digested fairly well, gluten free, full of B vitamins, high fiber, and one of the cheaper options for vegan protein powder. You’ll find many vegan proteins powders which are made up of mixes of sprouts, beans, millet, quinoa, buckwheat, and other proteins. These are generally made to have a good amino acid balance and can be formulated so they are lower or higher in fat and calories. The main downside is that mixed vegan protein powders tend to be pricy. Macronutrient profile refers to the amount of Protein, Fat, and Carbs in the protein powder. If you are looking to bulk up after a workout, then you’d want a protein powder with more protein and less fat and carbs. If you are using protein powder to supplement between meals, you’d want a nice balance of each macronutrient. If you are looking to lose weight, then you’ll want a protein powder which is high protein, low fat, has few calories, and has more fiber. When choosing a vegan protein powder, ignore the pretty packaging. You’ll want to turn it around and read the ingredients. Avoid any which have weird chemical ingredients or sugars. Also try to avoid any fillers. It can be harder to avoid some of the fillers though because they are added to make the protein more mixable and less chalky. 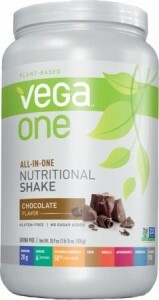 In general, I’d stay away from any vegan protein powder which has more than 7 ingredients. However, sometimes those extra ingredients are superfoods like cacao or cranberry, which can greatly improve nutrient value and taste. Finally, consider the reputation of the protein powder brand. 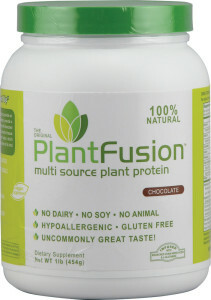 There are new plant based protein powders coming out all the time, and it is hard to keep up with them all. The bad brands of protein powder tend to disappear pretty quickly. So, try to choose brands which have been around for a long time or newer brands which have good customer reviews. If you are a bodybuilder who is actively gaining muscle, you are obviously going to need a very different protein powder than someone who is trying to compensate for an incomplete diet. So, when choosing your vegan protein powder, you need to consider why you need it. If your goal is to gain muscle, then you’ll need a protein powder which have a higher protein amounts and less fat/calories. Soy, rice and pea proteins are good choices. Generally hemp isn’t a good choice because of its lower protein amount by weight. If you are worried that you aren’t getting enough protein from food, but aren’t actively building muscle or an athlete, then you will want to look for raw proteins and protein concentrates. You won’t need as much protein (about 10-17 grams per serving is a good amount to aim for). You’ll also want to look for protein powders which have other nutrients, like Omega 3, vitamin D, and vitamin K. Use these vegan protein powders in smoothies for breakfast or as a between-meal power-boosting snack. 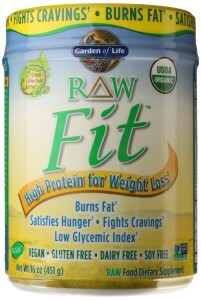 Vegan protein powders can help you lose weight because protein slows down digestion, making you feel full. Fiber does the same, so you’ll want to choose one which has a lot of protein and fiber.